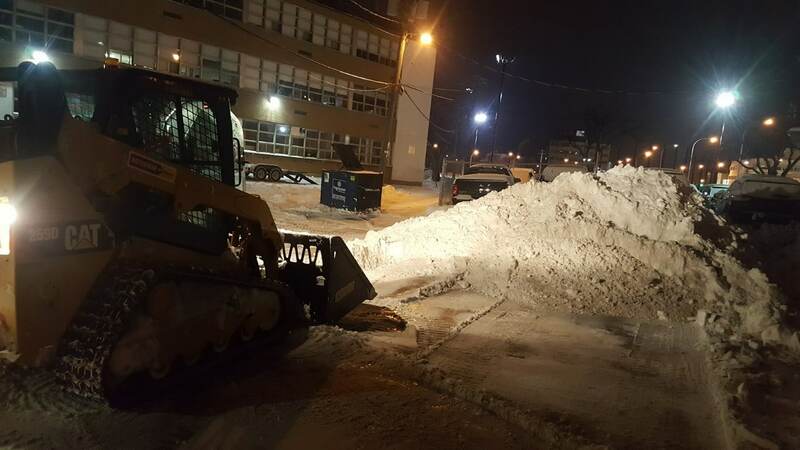 The View From Our Skid Steer As We Burn Midnight Oil Clearing One Of Our Commercial Customers Parking Areas. 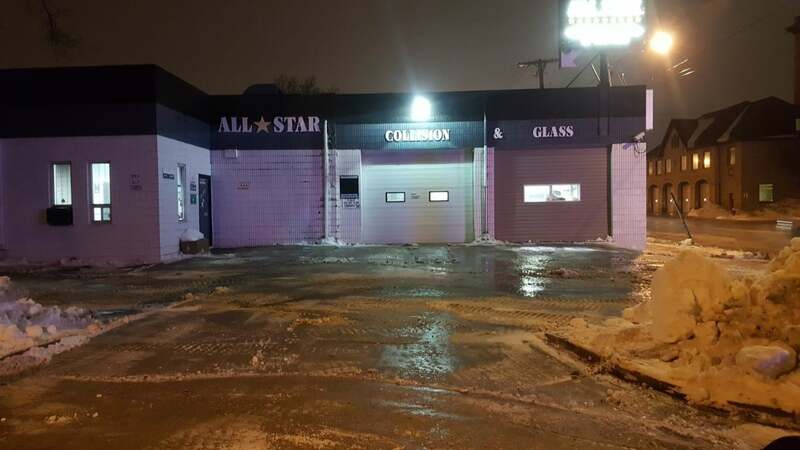 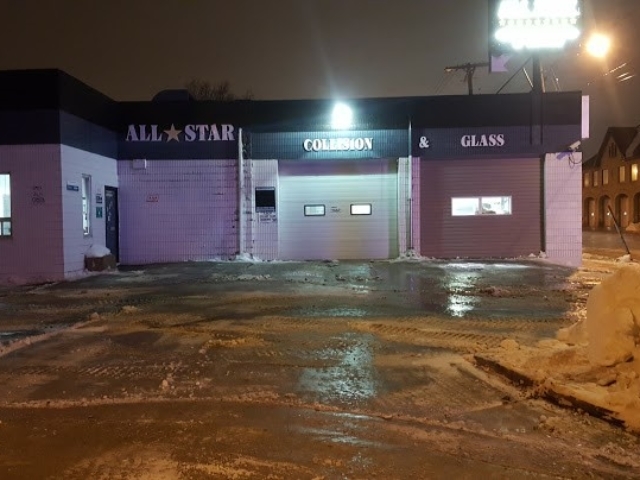 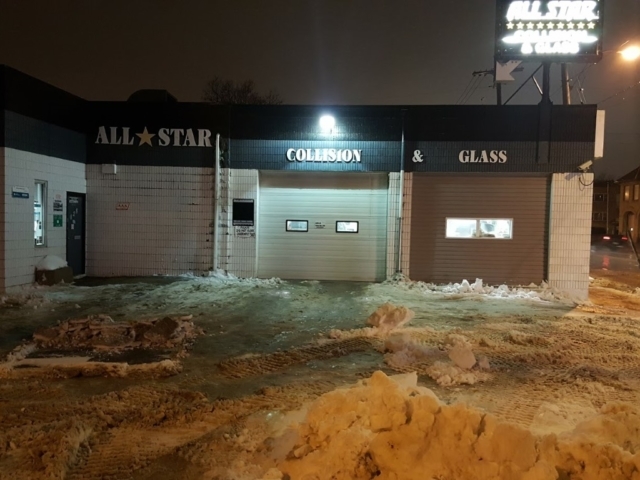 On top of all the challenges a business owner in Winnipeg has to face, the unpredictability of snow storms is yet another, especially if your commercial property is open to the public or has large parking areas that must be safe to use. 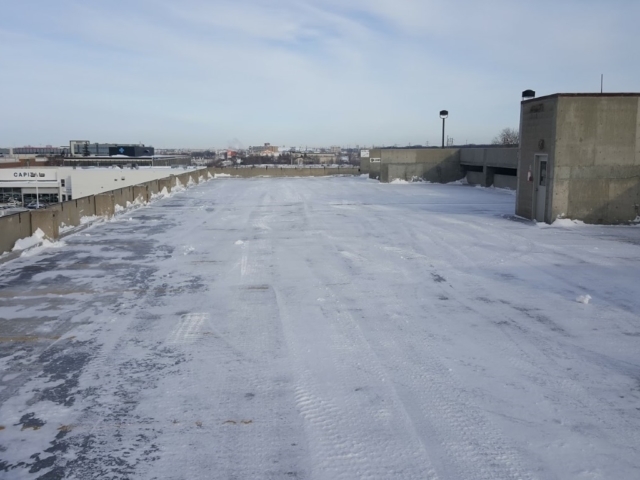 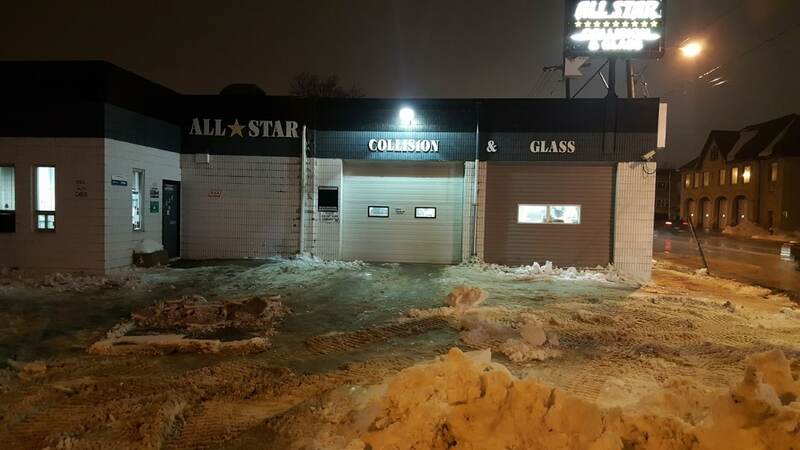 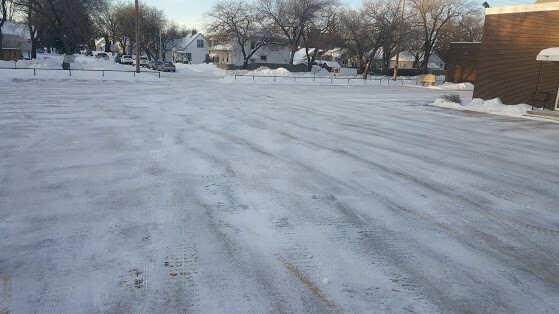 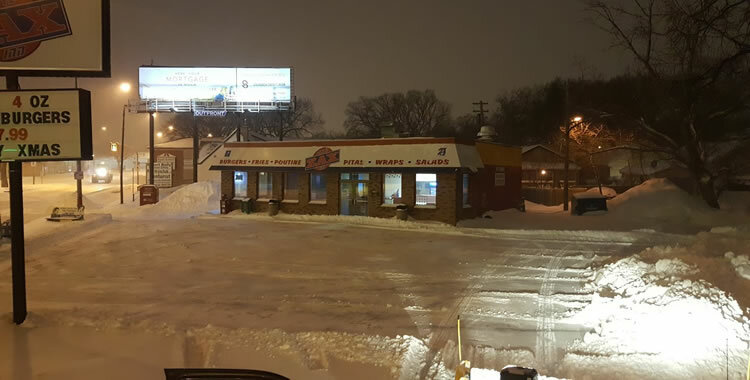 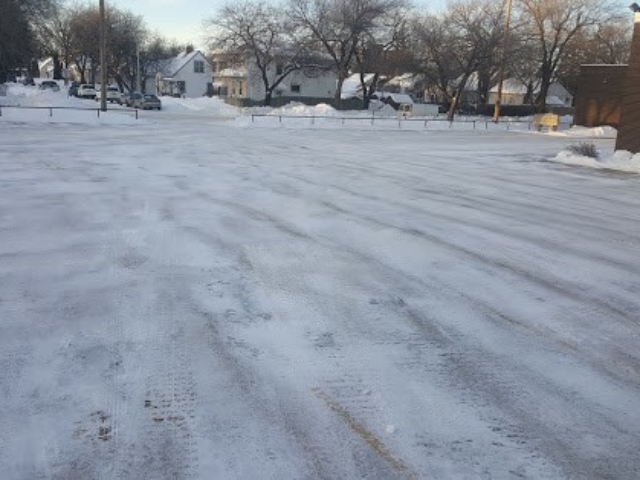 The accumulation of snow on a commercial property is a safety hazard and a major inconvenience for your customers and employees who must deal with the hassle of trying to find a safe place to park. 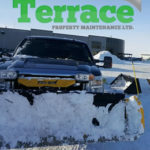 Terrace Snow Removal Is a snow plowing and snow removal contractor based out of Winnipeg, MB. 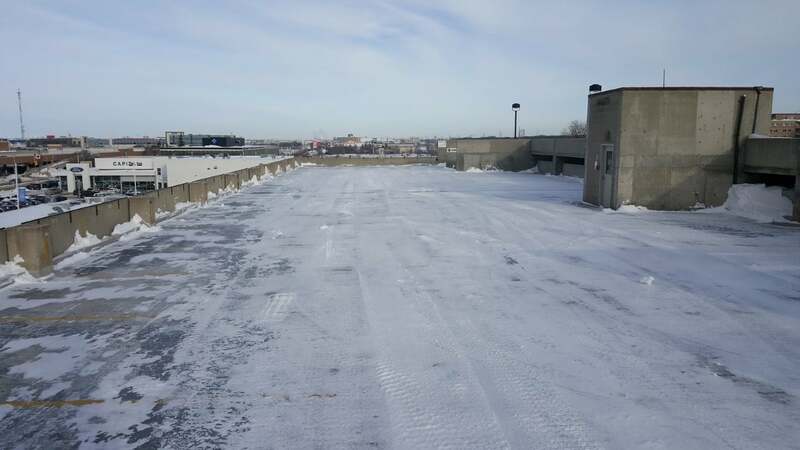 We specialize in providing a variety of on-call or previously scheduled snow handling services for commercial property owners. 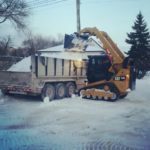 We offer snow plowing and clearing, snow removal and hauling, sanding, salting and de-icing services. 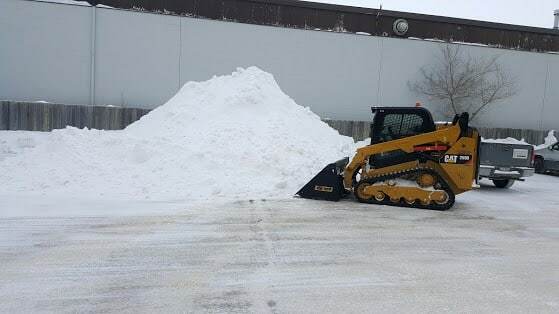 From removing the snow and de-icing the parking lot of a mall to making sure the front entrance to your hotel is always clear of snow you can count on Terrace Snow Removal to keep your property operating safely and efficiently when the snow begins to fall and accumulate. 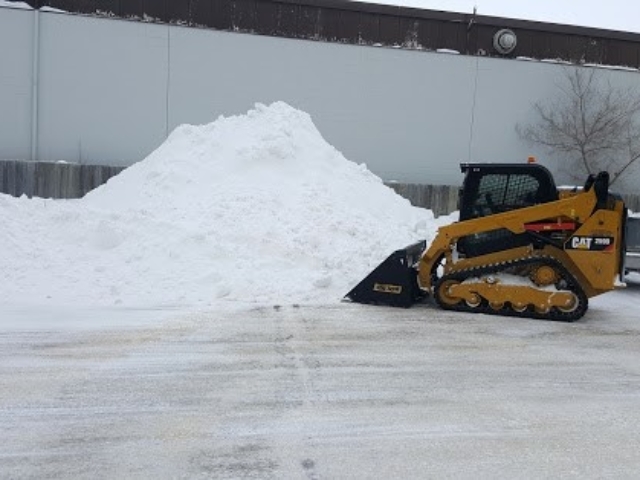 We’ll take the stress off snow handling services off your shoulders so you can focus on other tasks! 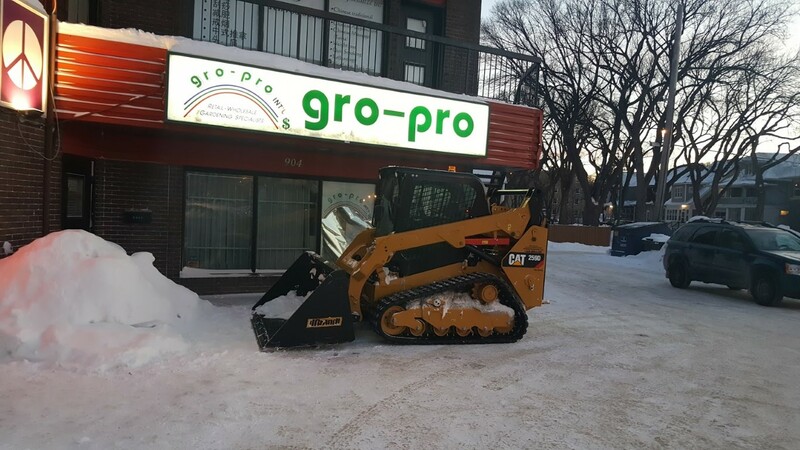 We are licensed, insured and our crews are trained in the proper and safe operation of our equipment. 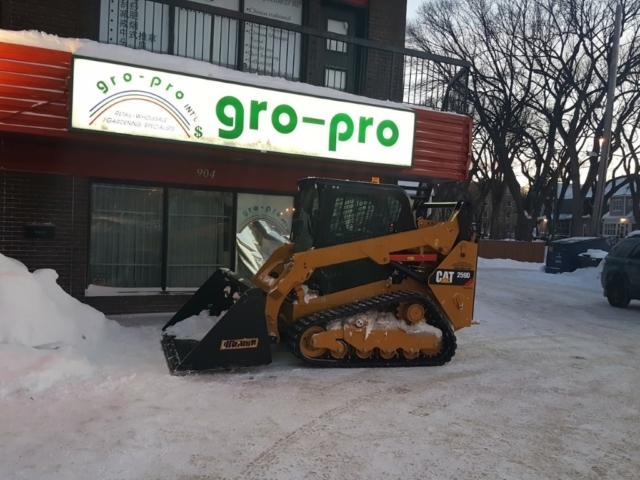 They are trained to always be aware of their surroundings, this is especially important when clearing snow from busy commercial properties during working hours. 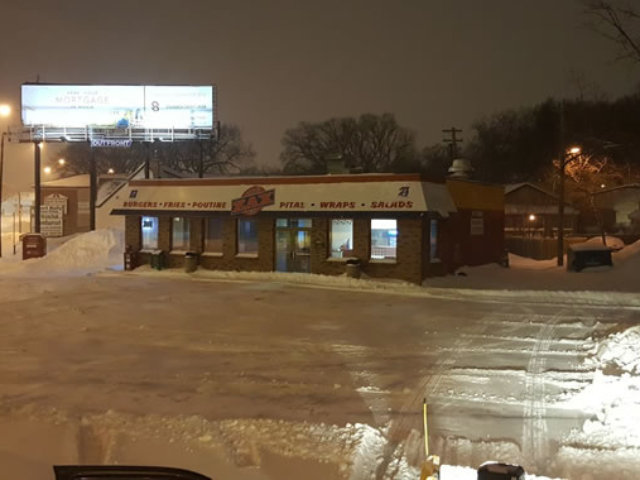 The View From Our Skid Steer As We Burn The Midnight Oil Clearing Our Customers Parking Areas. 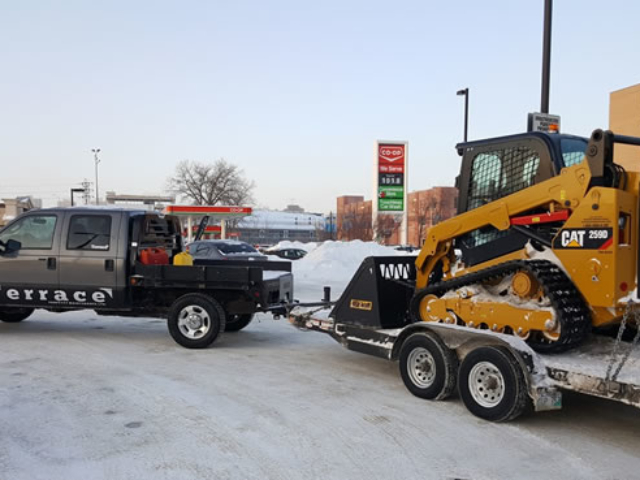 One Of Our Terrace Trucks & Skid Steers Ready To Tackle Snow in . 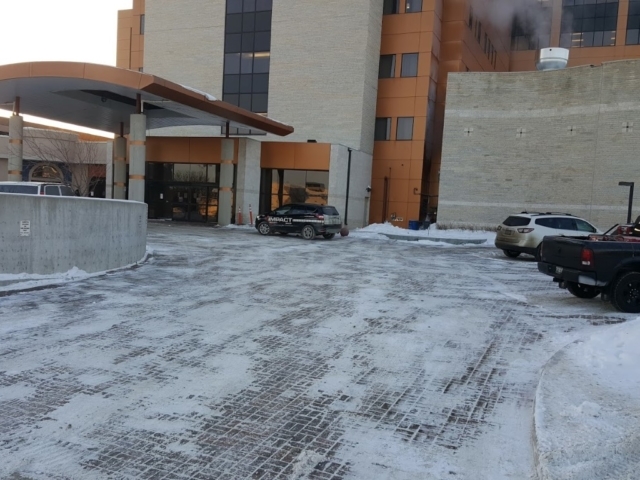 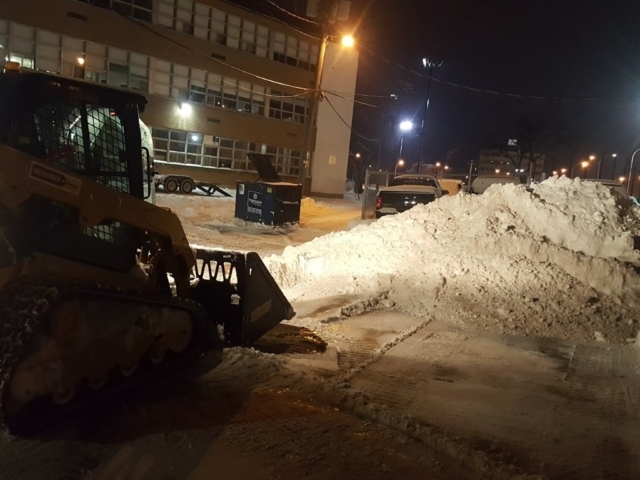 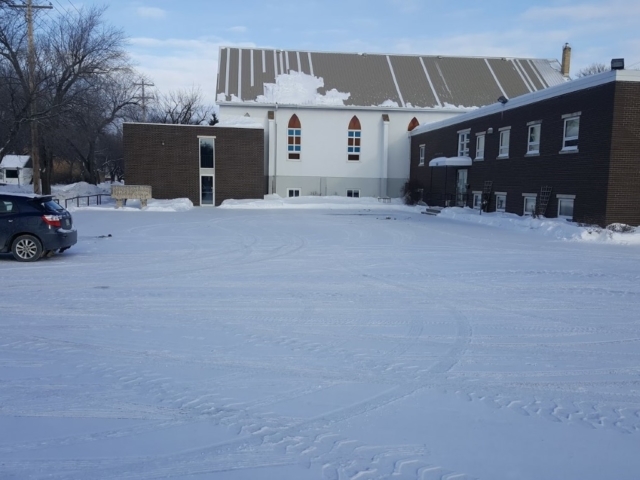 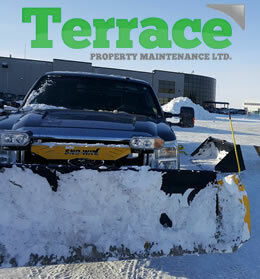 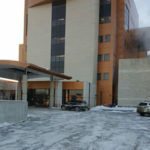 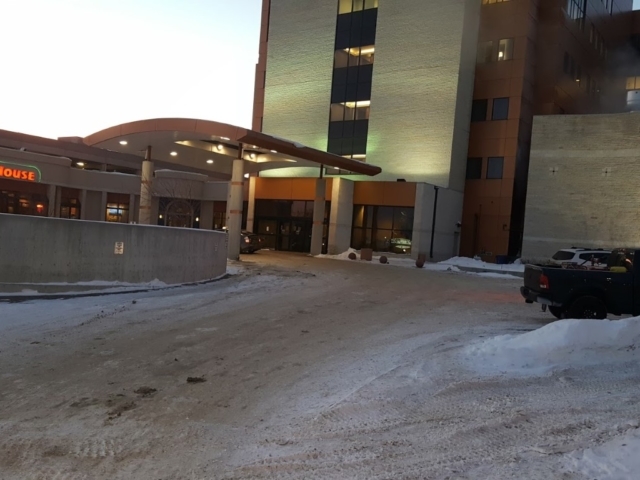 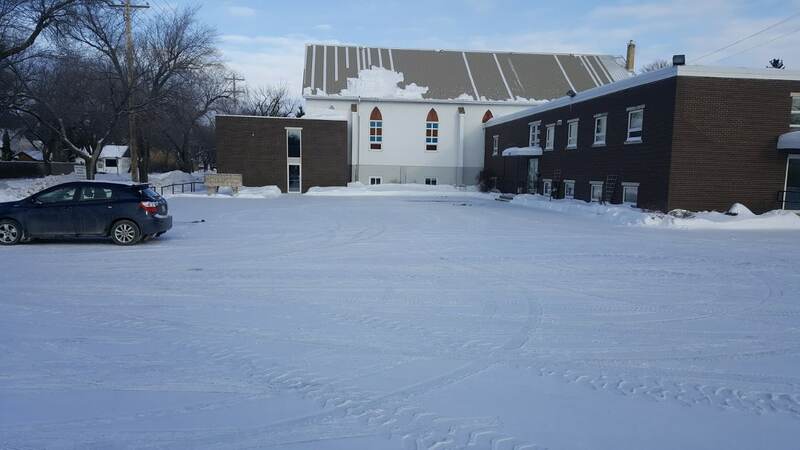 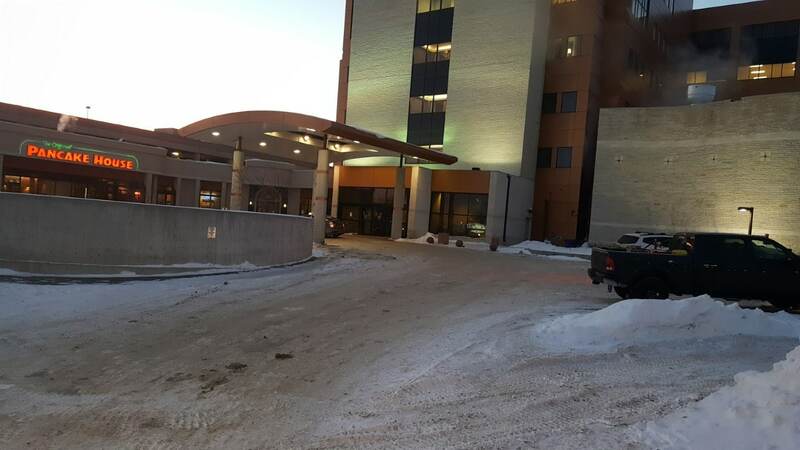 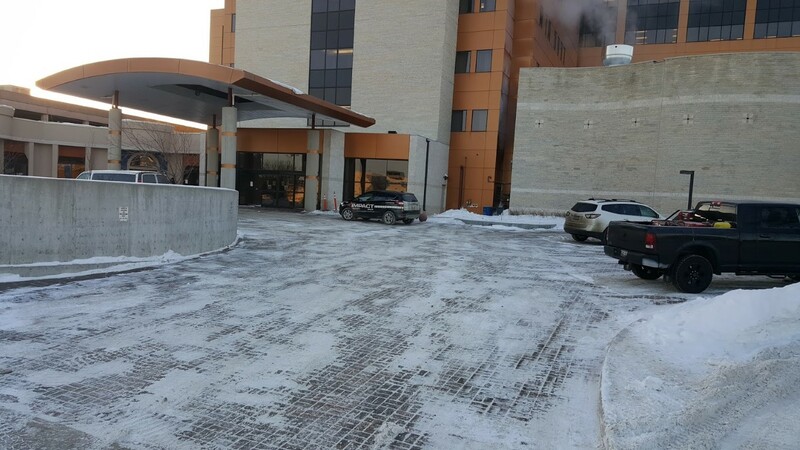 When you choose Terrace Snow Removal to provide your snow removal and hauling services for your commercial property in Winnipeg you are partnering with a team of professionals who will care for and maintain your property as if it were our own.